... upon reading my article about episode 13 of the UVP video (here’s the YouTube version). "In episode 16, denierbud [the Ugly Voice’s handle on YouTube, after which I will hereinafter call him 'Bud', just because it’s more practical] shows that the pits couldn’t have been more than 1.55 meters deep, because there was the danger of striking water underneath." The digging had to be conducted by Boris Tsibulsky, who was by profession a miner from the Donbas. The tunnel had to start at the carpentry, which was the closest barrack to the fences where prisoners were working, and it had to run beneath the fences and minefields. The tunnel had to originate at the stove in the carpentry and exit behind the minefield, a distance of about 35 meters. According to this plan, its height and width would have to be 75 x 75 centimeters and it would need to be 80 centimeters below the earth’s surface, so that it would not touch the mine holes. It could not go any deeper, because there was a danger that it might strike water. […]The digging of the tunnel started at the beginning of October. The main work was done at night, but some work was also done during the daytime. A digging shift included four people: while two were digging, the other two disposed of the earth and rested. They remained in the carpentry during the entire night. About fifteen prisoners, some of them Polish Jews, knew of and were involved in the digging work. The digging progressed smoothly for a few days, but on October 8 and 9, heavy rains fell on the camp and water penetrated the tunnel and flooded it completely. When Tsibulsky entered the tunnel on the night of October 9, he found it utterly wrecked. The tunnel escape plan had to be abandoned. An alternative plan for escape had to be found. Bud is right (even a blind hen finds a grain once in a while, a German saying goes) in that the above suggests a water table not much lower than 1.55 meters below ground at the place where the tunnel was being dug, or at least in that this was what the planners of the tunnel counted on. Based on an excerpt from a documentary film about Sobibor by Claude Lanzmann, he then claims that the land was equally flat throughout the camp, meaning that it was nowhere possible to dig deeper than 1.55 meters. And from this he jumps to the conclusion that the mass graves could not have been between 5 and 7 meters deep, as stated in Arad’s book on page 33, and that whoever said they were that deep was lying. Shall we follow this conclusion and assume that eyewitnesses mentioning this detail, which presumably included at least one former SS-man testifying before West German criminal justice authorities or indicted for their crimes at Sobibor before West German courts, were mistaken or lied about the depth of the mass graves, that a recent archaeological investigation essentially confirming the reported depth of the mass graves (see my article about episode 13) is fallacious, and that the death toll of Sobibor extermination camp must therefore at least be considerably reduced? • a monstrous, invisible conspiracy pulling the strings of all this massive falsity, without having in six decades leaked a single slip of paper or careless word pointing to its existence and sinister activities. As we are not conspiraloons like our friend Bud, we of course prefer looking for an explanation that requires fewer hypothetical entities, or ideally none at all. Very little is known about what was going on in Camp III. 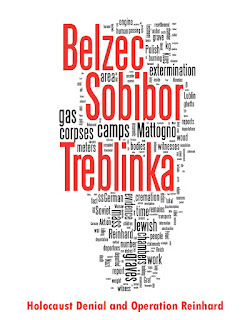 Unlike in Treblinka, where clandestine connections existed between the Undergrounds in both sections of the camp, in Sobibor there were no such connections. And since no prisoners survived from Camp III, there is no eyewitness evidence as to what happened there. Arad goes on to report that there was an attempt to dig an escape tunnel in Camp III in the summer of 1943. How deep this tunnel was to be is not known. What is known is that the Germans discovered it and in reprisal executed 150 prisoners, the majority in Camp III; the prisoners in the other sections learned of this massacre because they heard the shooting and in the evening saw the clothes of the workers in Camp III brought for sorting, and according to the witness Blatt, quoted by Arad, «The Germans told us that the prisoners in the “hell” wanted to escape and therefore all of them were shot. Some people from our camp were sent to Camp III”». This means that in October 1943, when the tunnel underneath the carpentry started being dug, none of the prisoners who at an earlier stage may have been involved in placing the bodies of the gassed victims in the burial pits was alive anymore. The originators of the tunnel plan were Soviet prisoners of war led by Lieutenant Alexander Pechersky, who had arrived at Sobibor on a transport from Minsk on 23 September 1943 (Arad, page 306). While Pechersky soon showed his leadership qualities and was therefore requested by Leon Feldhendler, the camp underground’s leading figure, to take over the leadership of the resistance, he and his men knew nothing about the camp beyond what they eventually learned from the other camp inmates, and what knowledge these other inmates had about Camp III and the mass graves was mostly limited to what they had heard from the SS or the Ukrainian guards or had seen, heard or smelled (the decomposing corpses, the burning of the bodies) from afar. Therefore, and also considering that only about 15 prisoners (see above quote from Arad, page 311), including such from the ranks of the Soviet POWs, knew about and were involved in the tunnel digging plan, it can hardly be considered a given that the planners of the tunnel knew about the depth of the mass graves in Camp III. It is entirely possible that they had no idea about the depth of the mass graves – which, after all, had been abandoned as a body disposal method a year before the tunnel digging started – and how deep they might accordingly be able to dig the tunnel without striking underground waters. So Bud’s argument only serves as another indication that he either did not read Arad’s book with the necessary attention, or then cherry-picked its contents according to what might fit his hoax. There is a difference between the concept of water table and water-level in wells. The water table is the location beneath the ground where water saturated rock or sediment is first encountered AND which is linked to the atmosphere through pores as opposed to being isolated from the atmosphere by a confining unit such as a clay layer. Depth to water in a well used for drinking water or stock water or irrigation is likely NOT the water table. For ground-water wells, there is often a pressure component that raises the water level above the bottom of the casing. This level may or may not reflect the water table. An extreme example of this issue is the flowing artesian well. In a flowing artesian well the ground water actually has sufficient pressure to rise above the ground surface and flow onto the ground. The water level in the well in this case cannot reflect the water table, for if it did the area would be under water. Similarly, there may be pressure in the well which does not take the water level above ground surface, but raises the water level in the well above the water table none the less. The reverse can also occur where the ground-water-flow system is recharging and the pressures may actually be lower and water levels may be below the water table. As a result, the water level in a well not completed to the first saturated sediment but drilled to obtain sustainable water for drinking may not be representative of the water table. The above quote suggests that, if Pechersky’s man in charge of digging the tunnel, the miner Tsibulsky from the Donbas, used the water table in a well as an indicator of how deep he could dare to dig without being in risk of striking water, he may well have been playing it on a rather safe side. This, however, does not mean that the water table underneath the carpentry area in October 1943 must have been as deep as the mass graves in Camp III suggest it to have been in that section or throughout the Sobibor camp in the summer of 1942, when the mass graves were dug. It is rather possible that there was a significant change in the water table level throughout the camp between the summer of 1942 and October 1943. Two factors influencing the height of the water table in a given area are the amount of water that infiltrates the soil and the porosity of the material that the soil consists of. The Arizona Geotechnical, Rock and Water Resources Library (GROW) provides an online model in which the viewer can simulate the rise of the water table due to these two factors, choosing the aquifer material (limestone, sandstone, gravel/sand, gravel or sand) and the amount of recharge water that is to infiltrate the soil. Assuming that the aquifer material is dry, the rise in the water table from one foot of infiltrated water will be a number of feet equal to 1/porosity of the material; if the aquifer already contains water, the rise will be higher than that. Gravel, for instance, has a porosity of 0.25, which means that one foot of infiltrated water into gravel will raise the water table at least 4 feet. The soil at Sobibor was/is sandy, as can be seen on this photo from the Aktion Reinhard Camps website, taken during excavations in 2001 presumably related to Prof. Kola’s archaeological investigation, and as is also mentioned in the ARC site’s Sobibor Camp History. Sand has a porosity of 0.35, which means that one foot of water infiltrated into sandy soil will raise the water table by ca. 2.86 feet. If the depth of infiltrated water is 5 feet (1.52 meters), the water table in sandy soil will thus rise by at least about 14 feet (4.27 meters), and if the depth of infiltrated water is 10 feet (3.05 meters), the water table will rise by at least about 29 feet (8.84 meters). The American Ground Water Trust tells us that «In any one place the water table usually rises with increased recharge from precipitation and declines in response to seasonally dry weather, drought, or excessive pumping of ground water.» According to the online Encyclopedia Britannica concise: «The water table fluctuates both with the seasons and from year to year because it is affected by climatic variations and by the amount of precipitation used by vegetation. It also is affected by withdrawing excessive amounts of water from wells or by recharging them artificially.». How high the seasonal variation of water table elevation can be in a given area is shown for the case of a coastal area soil structure by a study presented here, which in figures 8 and 9, related to the calibration of a groundwater model against actual measured values, shows variations up to over eight meters in relation to a minimum water table elevation of ten meters both in the five-year calibration period (November 1991 to November 1996) and in the seven years preceding the calibration period (November 1984 to November 1991). Already in the summer of 1942 another reason had required a partial change of the extermination mechanism. Due to the heat the already filled corpse pits swelled up, gave off corpse fluid, attracted vermin and filled the whole area of the camp with a horrible stench. The camp command furthermore feared a poisoning of the drinking water, which was gained from deep wells in the camp building. The reasons for the operation were local. As a result of the hot weather in the summer of 1942, the buried corpses swelled, and the fully packed mass graves rose up above the surrounding surface. The entire area became infested with vermin, and a terrible stench pervaded the camp and its surrounding areas. The camp commanders feared that the drinking water, which came from dug wells, could be contaminated and poisoned. Therefore the decision was made to start burning the bodies in Sobibor. The site - about 160 acres of forest - is quiet. The big clumps of pines and other trees are thick enough even in March to hide all open spaces. It is dark in the woods, with a musty, damp smell. "In Sobibor," Franz Suchomel had said, "one couldn’t do any killing after the snow thawed because it was all under water. It was very damp at the best of times, but then it became a lake." Suchomel was ordered to Sobibor from Treblinka in late October 1943, so he could not have witnessed first-hand what the camp area looked like in the spring of 1943. However, this doesn’t exclude his having exchanged impressions with his new comrades at Sobibor and learned from them about the difficulties they had had following the 1943 spring thaws. Suchomel’s statement that no killing could be done at Sobibbor after the spring thaws may be exaggerated insofar as some killing did take place in the month of March 1943, when 4,000 Jews from France and the first out of 34,313 Jews from the Netherlands arrived at Sobibor. But if the 1943 spring thaws turned the area of Sobibor into a "lake", this means a dramatic rise of the water table in comparison to what it is likely to have been in the summer of 1942, which seems plausible in the light of the sources quoted above. If the summer of 1943 was not as hot as that of 1942 – which is not unlikely, considering characteristics of the weather in Poland – and there was thus not such lowering of the water table as the year before, and if the fall of 1943 was very rainy, it is entirely possible that in October 1943 the water table at Sobibor was considerably higher than it had been in the summer of 1942 and stood little below 1.55 meters (a rise of 3.45 meters from an assumed low level of 5 meters, corresponding to ca. 1.2 meters of water having infiltrated the soil since the summer of 1942), or at least at such an elevation that Tsibulsky’s caution against the possibility of his tunnel striking water does not seem unreasonable over-caution. Just how huge the recharge from precipitation may have been in the fall of 1943 is suggested by the passage from page 311 of Arad’s book quoted at the beginning of this commentary, according to which heavy rains on 8 and 9 October 1943 flooded Tsibulsky’s tunnel completely. These rains may have penetrated into the tunnel through the soil lying above it, with a considerable rise of the water table due to the rain water’s infiltration into the soil, as visualized by the GROW aquifer model, as a possible additional factor. So we can conclude that there need not be a contradiction between Tsibulsky’s high water table concerns mentioned on page 311 of Arad’s book and the depth of the mass graves that becomes apparent from Arad's sources and/or from the archaeological investigations conducted in 2001 by Prof. Kola. If this were not so, on the other hand, i.e. if there were an unsolvable contradiction between the tunnel escape plan account and the reported and verified depth of the Sobibor mass graves, it would still be a violation of the Occam’s Razor principle to assume that a) eyewitnesses mentioning this detail, which are likely to have essentially been former SS-men testifying before West German criminal justice authorities or indicted for their crimes at Sobibor before West German courts (given that no inmates of Camp III survived and inmates in other sections of Sobibor had no access to the extermination section) were mistaken or lied about the depth of the mass graves and b) the renowned professor of archaeology Andrzej Kola either didn’t know what he was doing or manipulated the results of his investigation. In such case, the reasonable approach would be to check the accuracy of the source that provided the description of the escape tunnel, which according to Arad was Lieutenant Alexander Pechersky, the commander of the Sobibor revolt. Outstanding though Pechersky’s performance in organizing and leading the revolt was, his memory does not seem to have been the best, for he had problems with recalling the names of even his interlocutors among the Sobibor underground. Its leader, Leon Feldhendler, Pechersky referred to as "Baruch" in his account of the revolt (Arad, page 309). This explanation would be a mere speculation, for sure, and could certainly be argued against. Yet it would not be nearly as unreasonable as assuming, with the above-mentioned multitude of hypothetical entities such assumption would entail, that eyewitnesses and/or defendants interrogated by West German criminal justice authorities about the mass graves were mistaken or lied about the depths of these graves, and that additionally Prof. Kola and his archaeological team didn’t know their job or manipulated their results. However, as it has been demonstrated that there is no contradiction between the tunnel escape plan account and the reported and archaeologically verified depth of the mass graves, there is no need to consider this explanation. The camps would have to be near the main concentration of Jews in the General Government and near the railways, to facilitate the transports and deportations. The location of the camps had to be desolate places, as far as possible from inhabited areas, to maintain secrecy and to keep the knowledge of what was transpiring within them from the local population. And, third, the camps had to be in the vicinity of the occupied territories of the Soviet Union so as to encourage the belief that the Jews who had disappeared had eventually reached labor camps in the vast areas of the East. You can’t always have all you want, and if the areas that best met the requirements described above happened to be areas with somewhat difficult soil conditions, this meant that a way had to be found to cope with these difficulties. And then, were the soil conditions in a swampy region with sandy soil necessarily all that difficult? Sandy soil is probably easier to dig in than other types of soil, and if it is moist that may make digging even easier. The fact that Sobibor camp was located in an area containing swamps or marshes also does not necessarily mean that the camp area itself was swampy, and it doesn’t look like that in the excerpt from Claude Lanzmann ’s documentary shown in clip 16 of the UPV video. For the camp was surrounded by a pine forest (Arad, page 30). Pines are coniferous trees, and according to a German-language page about coniferous forests, coniferous trees can grow in swamps (Moore) but are not able to form a forest in intact swampland. So it seems reasonable to assume that, while the area around the camp may have been swampy, the camp’s area surrounded by pine forest was somewhat drier, except perhaps following the spring thaws and after the fall rains. To be sure, digging mass graves there in periods when the water table was high would probably have required much water being pumped out through wells or drained off through a system of drainage ditches as were built at Auschwitz-Birkenau. But the digging of the graves at Sobibor, as we have seen, occurred during a period in which the water table is likely to have been relatively low. The best guarantee of secrecy, in these high-ranking Nazi officials’ not unwarranted opinion, was to get the "special mission" of the "Jew-Action" over with as quickly as possible. If placing the camps next to existing operational railway stations helped to get things done more quickly, it was a minor disadvantage, far outweighed by the advantages of speed, if the few inhabitants of the areas near the AR camps realized what was going on there. As with the soil of the locations chosen, you can’t always have all you want, especially if your endeavor is an extermination program of such magnitude. Rather than make a fuss about the oh-so-absurd proximity of "top secret death camp" and "public railway station", Bud should perhaps try to explain why a mere resettlement operation, which he would like Aktion Reinhard(t) to have been, would be referred to as a "special mission", why it would have to be carried out "as quickly as possible", and, especially, why it would need to be camouflaged. Our readers are invited to inform good old Bud that he has new mail in his mailbox. I thank Sergey for his constructive criticism on this article, which was as useful as ever. Why not send a team of scientists to find out exactly how deep down the water table is at Treblinka? What is so hard about actually allowing a group (a committee made up of all sides) go there and find out for sure. The bottom line remains - either the ground was disturbed or not. If not, then the supposed murders didn't happen there as proposed. It doesn't really matter who is asking or for what reason. >Why not send a team of scientists >to find out exactly how deep down >the water table is at Treblinka? This is about Sobibor, and I have a better idea: why not look at what archaeologists have established already as concerns the depth of the mass graves at that place? 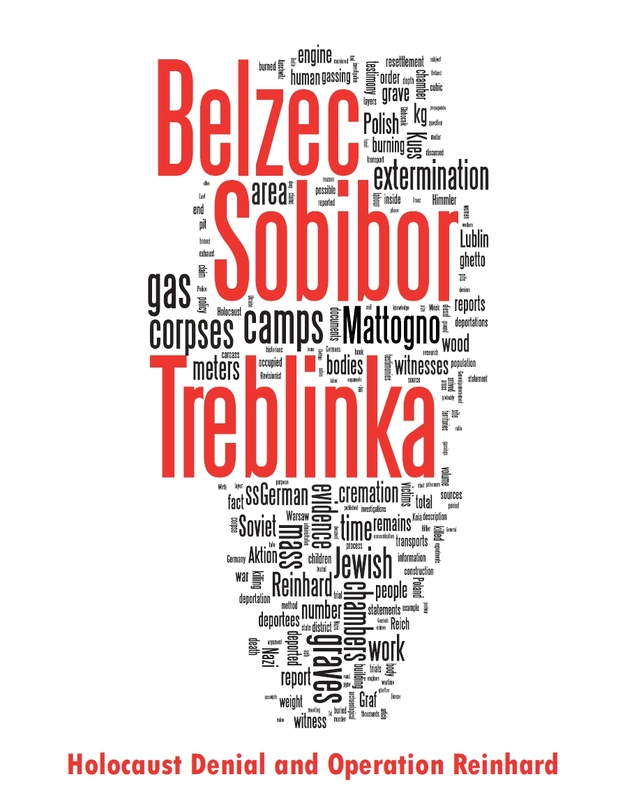 See my article under http://holocaustcontroversies.blogspot.com/2008/10/mass-graves-at-sobibor-10th-update.html for details. >What is so hard about actually >allowing a group (a committee >made up of all sides) go there >and find out for sure. If you contact the folks of the Sobibor Archaeological Project, site under http://www.undersobibor.org/ , they will tell you how hard it is for them - duly credentiated archaeologists - to obtain from the Polish government, which considers this area Polish "holy ground", to get a permission for doing excavation or core drilling in the mass graves. Then imagine how much harder obtaining such permission would be if "Revisionist" crackpots were part of the team. >The bottom line remains - either >the ground was disturbed or not. >If not, then the supposed murders >didn't happen there as proposed. >It doesn't really matter who is >asking or for what reason. That's right, what really matters is the evidence. And the evidence - all of it - belies the claims of who is "asking" for ideological reasons.